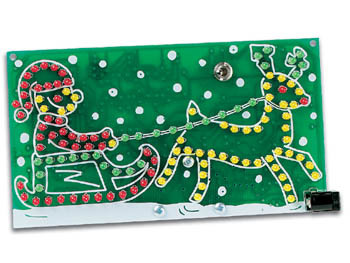 126 LED multicolor animated Xmas gadget. No need to remove battery when using external supply. 12V operation possible for use in cars, trucks. On/off switch included.